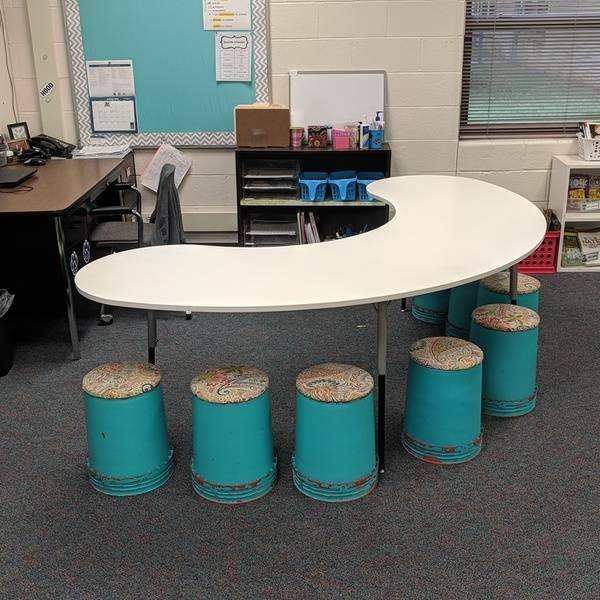 Just a simple kidney bean table built for my wife's 4th grade classroom. These tables are pretty sought after by teachers and rarely bought by the schools, so teachers are left to purchase them on their own, but can be quite pricey so seldom are. This was made with a single sheet of melamine, commercially available legs, and a steel bar for support to keep it from sagging. 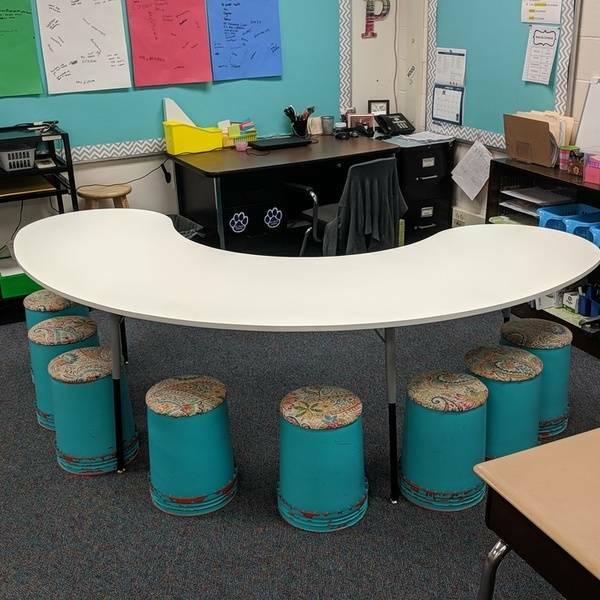 All in it was less than $70, very simple to make, and my wife and her class love it!